Designers sometimes overstep all limits of rationality when trying to create another masterpiece. 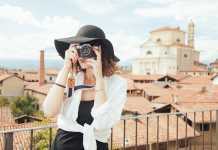 As a result, fashion-conscious women beat their brains out, if they are really meant to wear lamp-like shoes and no-heel rod sandals or if it’s just a joke and provocation. 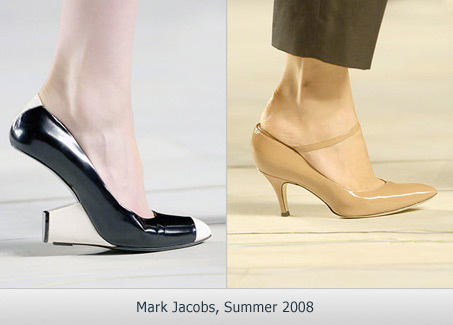 Ones of the most extraordinary shoes of Summer 2008 are those made by Mark Jacobs. And if the shoes with imaginary heels could be worn somehow, the strange beige ones – no way. As you know, the more massive the shoes, the more elegant your legs look. Well, by all appearances, Alessandro Dell’Acqua decided to demonstrate exactly this in his Spring-Summer 2008 collection. As for me, these shoes look best of all the shoes shown here. 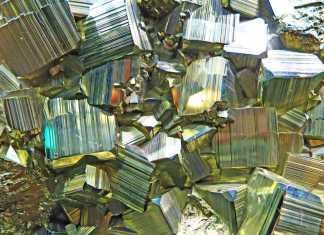 I’m only afraid of wearing them, as they look extremely dangerous. The Japanese designer Junko Shimada’s motto is also “the more the better” – she was so generous with flowers and butterflies when creating her collection. Well, maybe, for some these shoes still look nice, but walking in them would be possible only for a real geisha. 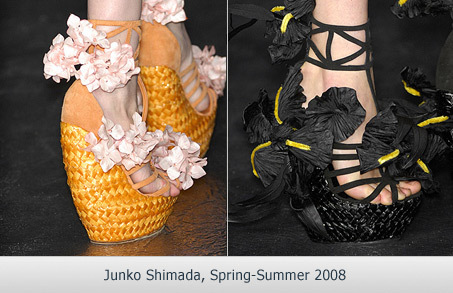 Alexander McQueen goes on with the geisha topic, but unlike the shoes created by Junko Shimada, which look a bit refined, these ones are just an artwork. And, as you know, art is a quite disputable topic. 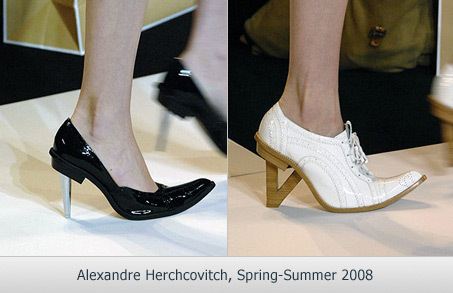 Alexandre Herchcovitch likes playing with fashion. He created a shoe collection which resembles the pictures from a good-old fairy tale. 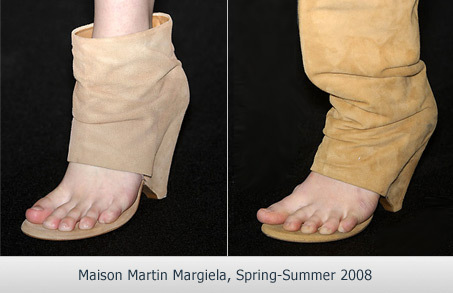 Shoes made by Maison Martin Margiela become more and more eccentric every season: starting with transparent plastic shoes and ending with the cloven ones. However, there are lots of fans (and customers) of the designer all over the world. So, there will be women who would like to wear such sh…oes. Today every shoe fashion talk involves Prada. The creations of Miuccia surprise every season. The summer collection includes sandals and shoes which would look best on nymphs’ and fairies’ feet. 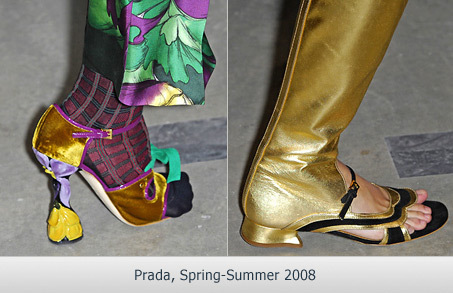 However, the shoes from Fall-Winter 2008-2009 collection of Prada look just monstrous. Is all this created for women? Do we really want to wear this? I find almost all of these shoes disgusting and I’m sure, most of them are very uncomfortable. And what do you think? For additional extraordinary womens designer shoes of this season, visit Colehaan. Oh my goodness, what hideous shoes. Just goes to show that even top fashion designers get it wrong every once in a while. Seems better suited for episodes of Star Trek. The very first pair would be cute if they had a heel on them instead of a spacious gap between your foot and the floor- otherwise these are all pretty hideous. Really cool, but not so great on the feet i think. 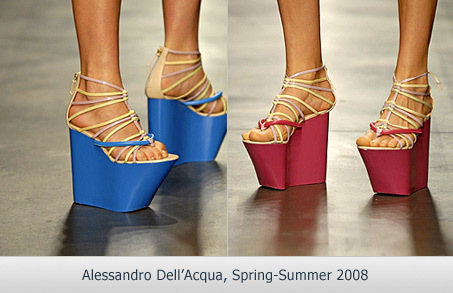 I like those shoes from Alessandro Dell’Acqua. They look nice. I CAN walk in them – I used to wear such a sole without problems. Those shoes resemble the Spice Girls’ footwear in their early music videos. Nice looking but indeed very crazy to wear. 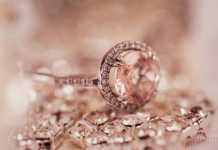 Girls/women, be careful if you gonna wear it, it may harm your legs :). 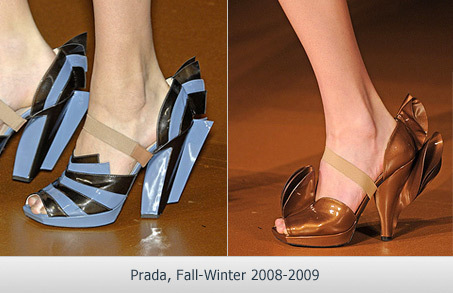 Prada make really nice shoes, strage but very cool and wel done. I have severals and are all my best shoes. Great ideas. But where are the pocket square concepts? I am a retired shoe buyer and thought I had seen it all. That said, these are some of the wildest patterns I have ever seen.